On the hunt for a subcompact SUV that’s fun to drive, but still practical enough for the daily commutes around Westchester County, White Plains, and New Rochelle? You’ll want to consider the 2018 BMW X3 and the 2018 Audi Q5. Both these vehicles are great for everyone from the single city dweller to the suburban family driver, offering a great combination of style and practicality. To give you an in-depth look at what each SUV has to offer, our team at BMW of Westchester has put together this helpful comparison of the BMW X3 vs Audi Q5. Learn more about the 2018 BMW X3 by reading our detailed vehicle review. Both these SUVs come standard with a turbocharged 4-cylinder engine. The X3 features an 8-speed automatic transmission, while the Q5 has a 7-speed automatic. Both vehicles offer quick acceleration and a comfortable ride, plus a sporty feel when driving around turns or revving the engine up to highway speeds. Both vehicles seat five, with power-adjustable front seats that make it quick and easy to get comfortable. In either car, you can add options such as heated seats and sport seats. The rear seats of both vehicles come with easy-to-use child safety seat connectors. In the X3 interior, backseat passengers will have 36.4 inches of legroom, while passengers in the Q5 will have 37.8 inches. When it comes to cargo capacity, you want a vehicle that can handle your everyday essentials, but that also has the capability to be filled with all your gear for a weekend away. The 2018 BMW X3 has 27.6 ft3 of cargo space behind the back seats, while the Audi Q5 has 26.8 ft3. That’s enough room for the kids to all pile into the back seats and stow all their backpacks and sports gear in the trunk. Fold the rear seats forward, and the X3 reveals a total of 63.3 ft3 of cargo capacity, which is one of the highest measurements in the class, compared to the Q5’s 60.4 ft3. For convenience, both SUVs come standard with a power liftgate, or you can upgrade to a hands-free liftgate. The X3 and the Q5 both come loaded with plenty of modern tech features to keep you connected and entertained during your drives. Both vehicles feature Bluetooth® connectivity, HD Radio™, USB connections, and more. 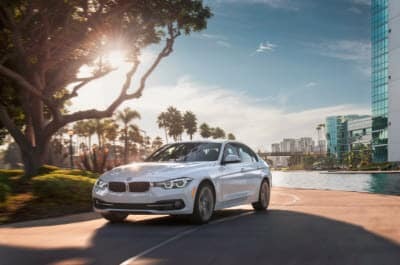 The BMW has its own special features for full smartphone connectivity, which include Mobile Office for on-screen access to messaging, tasks, and voice memos, as well as the ability to transfer contact information directly to the navigation system. BMW Assist eCall™ can automatically alert emergency services in the case of a collision, which can add great peace of mind to your commutes. Ready to find your ideal SUV? 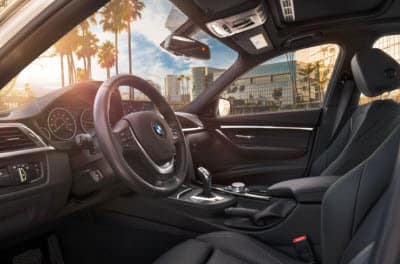 Our team at BMW of Westchester thinks the drivers will appreciate the high-tech features, large cargo area, and comfortable seating of the 2018 BMW X3. Contact us today to schedule a test drive, and get ready to hit the streets of Westchester County, White Plains, and New Rochelle.